Auckland's downtown CBD is the location for some spectacular medium and high density apartments offering some of the best urban design and amenity in the surrounding street networks and public spaces. care has been lavished on making the pedestrian experience a positive and fruitful one, with wide pavings and attractive street surfaces. Care and attention to appropriate street levsl activities is evident with activated street edges - lots to do, and pleasant visual aspects planned and provided for. 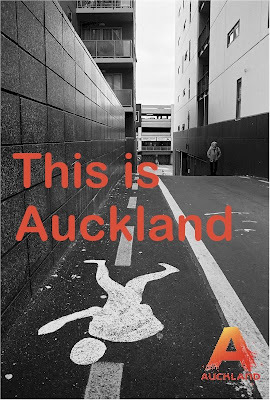 We look forward to more work from the designers and planners who can be rightly proud of the contribution they have made to Auckland's urban fabric. Princes Wharf is one of the latest developments at Auckland's downtown waterfront. It has been carefully designed so that cars can be placed as near to the water as possible, and their amenity has been provided for to the maximum extent. There is no risk of any ultra violet damage to your car parked here, and there is little risk of salt air affecting metal parts. Highly recommended waterfront destination. 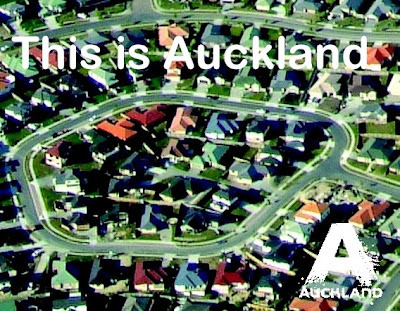 Auckland should be afraid, very afraid, of election promises threatening years of local government work to smarten regional economic development and stop urban sprawl. With weeks of campaign commitments still to come, National has promised to rewrite the Resource Management Act within hundred days of getting elected, and Labour has promised to build a toll-free Penlink Motorway which will open up the Hibiscus Coast to a new wave of speculative development. And there will be no shortage of development interests lobbying both parties to further loosen planning controls, build more roads, and let greenfield property development rip. The Metropolitan Urban Limit imposed by the Auckland Regional Council (ARC) almost ten years ago was widely criticised at the time, as was its support in 2005 for shifting $1 billion from motorway investment to public transport. These planning initiatives have slowed the sprawl tsunami that has engulfed so much rural land and led to longer and longer commutes to work and school. ARC research reveals that transport costs amount to more than 30% of household budgets for an increasing number of low decile families living in South West Auckland. This problem can be expected to worsen as fuel costs escalate. Already Auckland has one of the least efficient metrocity economies in the western world. Analysis shows that a full 13% of Auckland’s productive revenue is expended on transport when its annual cost of transport is compared to its regional GDP. In modern Asian and European cities the comparative figures are 6% and 8% respectively. 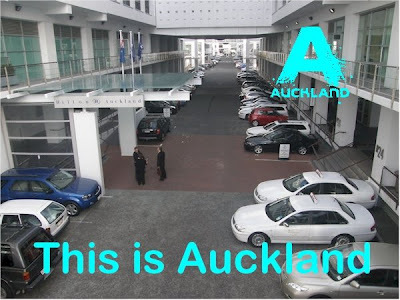 Auckland’s economy runs like a car with the choke out, and this is primarily because of the huge distances everything and everybody has to be transported. This economic drag will worsen with more sprawl, more and longer roads, and fuel scarcity. It is ironic that adding value to milk through the sort of processing carried out by Fonterra, and adding value to logs before export, is regarded as sensible economic development by central government and political parties, but the same thinking is not applied to the development of land. This has not always been the case. Between 1925 and 1950 it was government policy to develop urban rail from the proceeds of land development. The 1926 Town Planning Act imposed a 50% capital gains tax on land zoned for intensive development. This funded rail infrastructure and state housing as well. In 1953 this provision was repealed, and developers pocketed all windfall gains from rezoning. It is obvious that an economic incentive like this turns greenfield development into a goldmine. While the recent Local Government Act (2002) developer levy regime has taken some of the cream from these profits as a contribution to infrastructure costs, developers continue to enjoy huge short-term gains when their land shifts from rural to urban zoning. Developers tell me they’ll still take their chances by investing in land just over the current metropolitan limit, rather than risking a mixed use urban regeneration project in Auckland, North Shore, Waitakere or Manukau Cities. Yet these are the developments Auckland needs more of, if it genuinely wants to become more economically competitive. But brownfield redevelopment projects need good urban design, and they will only happen if councils recognise and encourage good urban design, and when councils reward developers by supporting such projects and speeding them through consent processes. and separate, distinct buildings with complex arrangements and relationships - as opposed to a few, large buildings. This sort of development is about place-making and people destinations. And it needs careful funding and more planning. Not less planning. The New Lynn rail station and town centre is the first significant example of this sort of thinking on the ground in Auckland. It needed almost $200 million central government investment. 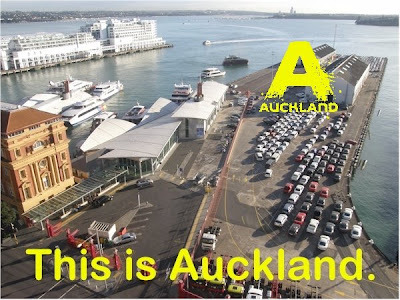 Auckland’s waterfront needs government investment too – not necessarily a stadium – perhaps a gallery, museum (like Te Papa), convention centre, or national Polynesian maritime heritage venue. The economic multiplier effects of this sort of government investment are known to be huge over the long term. Auckland could leave its tinsel-town short-term profit-taking image behind through government investment in cultural and network infrastructure. This is the sort of government intervention Auckland needs now so all of New Zealand can truly benefit from this special part of the world. "...Critics of the Auckland Harbour Bridge walking and cycling project are dancing on the head of a pin with narrow benefit cost arguments. But at least they are dancing. This project is about more than lycra-clad cyclists enjoying themselves at tax-payer expense. The project is about competent urban design and walking. It’s about opening up Waitemata Harbour waterfront access to the public. It’s about waking up and smelling Auckland’s roses. Some bemoan the $40 million price tag. 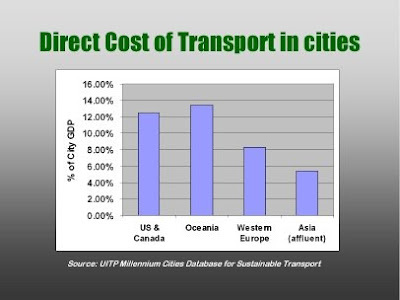 But all transport projects are expensive. Currently planned Auckland motorway projects total around $4 billion, while passenger transport projects total around $2 billion. Building safe walking and cycling across the Auckland Harbour Bridge would cost less than 1% of the amount planned for a few kilometres of motorway and railway. The current Auckland Regional Land Transport Strategy supports the allocation of $420 million of available transport funding on travel demand management measures over a 10 year period including the implementation of 50% of the region’s strategic cycleway network, and extensive improvements in urban walking infrastructure. Unfortunately the region is behind achieving this target because city councils and Land Transport NZ (now the New Zealand Transport Agency) have not delivered on the transport funding strategy they agreed in 2005. Narrow benefit-cost arguments are the last resort of those seeking to kill projects with multiple objectives. The Auckland rail electrification project was attacked by narrowly comparing its benefits with motorways. But when the associated economic development benefits rail enables through agglomeration and more efficient land use were factored in, the bean-counters went quiet. They now support rail. New Zealand’s Energy Efficiency and Conservation Authority came up against the same narrow arguments when it advocated insulating houses. The bean-counters now accept that the energy savings and health benefits that go with living in a warm house more than justify the cost of insulation. Auckland has long needed to take a fresh look at transport planning by identifying the benefits of diverting the focus away from cars, and towards bicycles and pedestrians. Transport planners have disregarded the significant adverse affects of car use and the range of benefits associated with increased bicycle use as an alternative. More cycling and walking reduces the adverse affects of cars, and has other far-reaching benefits. Last week the New Zealand Urban Design Forum was launched. Hundreds of planners, architects and transport engineers attended. This is professional recognition that there is more to urban planning than building suburbs for people, roads for cars, and buildings for offices. 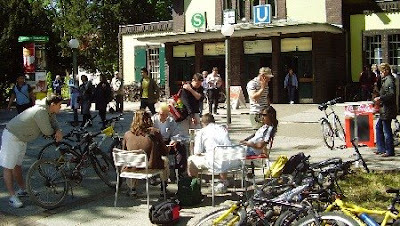 Urban Design is about the public realm. It is about waterfronts, open spaces, and it’s about walking and cycling. Wellington’s waterfront with its multiple destinations, open spaces, and walkways and cycleways proves good urban design can happen in New Zealand. Brisbane’s Goodwill Bridge was built across its harbour river for walking and cycling. Now 50,000 people use it each week. It connects Brisbane for walkers and cyclists. Brisbane also provides bike racks on some of its buses and some ferries – but these alone could never match Goodwill Bridge. They complement it. Sydney is rightly proud of its coastal walkway. This will be connected through the East Darling Harbour reclamation which has been recently retired from port-shipping purposes and is being re-developed for mixed uses emphasising a public realm based on the best urban design they can buy. Auckland has the same opportunity. The waterfront at Kohimarama and Mission Bay is a taste of something good. We see more of it at the Viaduct. This connects to the walking and cycling Te Whero bridge to the Wynyard Quarter. The vision for this reclamation includes a coastal promenade for walking and cycling. From there is a smooth connection – a great walk and cycle - to the road winding through the yachts and attractions of Westhaven Marina, to the foot of Auckland Harbour Bridge. Not everybody might want to continue this Waitemata journey by walking or cycling over the Bridge. But every year 7,500 people cue up and pay for the opportunity to walk or run over as part of the Auckland marathon. They love it. The view from the top is fantastic. And so is the feeling of achievement and wellbeing. Transit has provided for walking and cycling across the harbour at Greenhithe. People can walk and cycle across the Manukau Harbour at Mangere. Providing for walking and cycling across the Waitemata Harbour is consistent with past practice, and in compliance with the multi-modal objectives of the New Zealand Transport Strategy. Second harbour crossing plans have settled on a tunnel for the next crossing, with walking and cycling across the existing Auckland Harbour Bridge. So it’s not a question of if, it is a question of when, walking and cycling infrastructure is provided on that bridge. The time is clearly now, in coordination with Westhaven and Wynyard Quarter development, and as part of the economic regeneration of Auckland as a tourist destination. 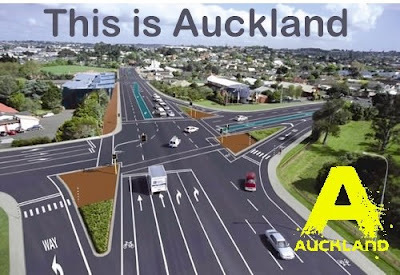 Booze Allen have advised Auckland Regional Council that this project can be provided for on the existing bridge, and while this will result in narrowing the clip-on traffic lanes, these will still be wider than central section traffic lanes. These experts have advised that safety levels would be acceptable. Now is the time for the New Zealand Transport Agency to practice what Transit preached, and to take proper account of the Auckland Regional Transport Strategy. It is also time for Auckland and North Shore City Councils to pay more than just lip service to the provision of cycling and walking infrastructure. And then there will be dancing in the streets and upon the bridge...."
"A decade ago when it was suggested North Shore needed buslanes on roads, many strident voices were raised in opposition. But today public transport is accepted, and its infrastructure demands tolerated. The current debate about cycling on North Shore, triggered by the Lake Road cyclelanes, is similar. There are strident supporters and strident opponents. 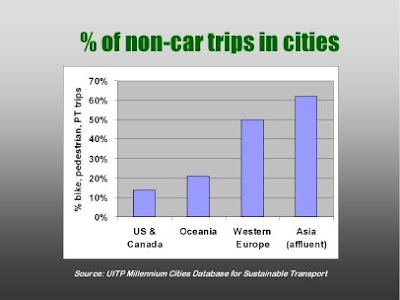 It is a fact that the majority of trips are made by car. But that need not mean provision should be ignored for other modes of transport - like walking, cycling or buses. Roads are a finite resource and need to be shared by us all. Change in the allocation of road space, so that popular methods of transport can use roads safely is always a challenge. We see this with new bus stops, bus shelters, traffic lights, bus-lanes, cycle-lanes, and widened footpaths. However a peaceful community is one which tolerates different choices, and provides for them in public life. Car transport is relied upon by the majority, but cycling is valued by many, and there will be more. This is a real need. Civilised cities are built upon tolerance. North Shore City Council shows wisdom and care through safely providing for cycling, walking, buses, as well as cars, on our shared roading network."